50mm Mesh for proofing against Pigeons. 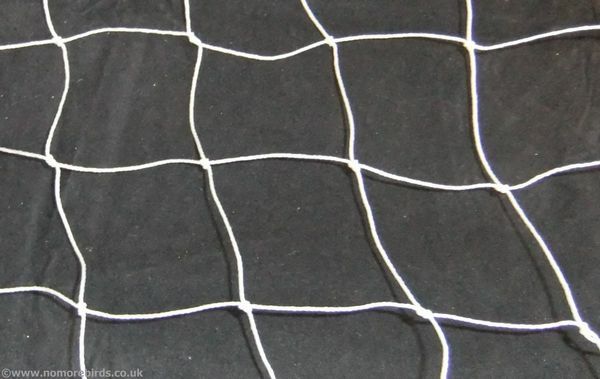 Custom size pigeon nets available for 50p/sqm. Please call 0844 822 8675 to place an order. Create a frame work out of wire rope and attach the netting to it. Fixing Kits can be purchased from No More Birds. For free technical advice call 0844 822 8675. Ensure the netting is not saggy or birds will become trapped in the netting. Seen Pigeon Net - Translucent Cheaper? We will match any online price for the same product.